Justin is an owner, Lead Guide, and our technical tree-line riding specialist. He started sledding out on the prairies of Saskatchewan before moving to Fernie, BC in 2006. With a background in high alpine construction in both Fernie and Nelson BC, he is no stranger to working in challenging mountain conditions. Justin is certified as a Mine Rescue Technician, Occupational First Aid Attendant, Avalanche Canada Operations Level 1 and Avalanche Educator. When he's not slaying trout in the summer or playing with his three border collies, you can find Justin hunting for new lines to shred. He enjoys making big mountain powder sledding accessible to a variety of riders through skill development and mentorship while guiding. Hunter gather of two-stroke cold smoke Fernie stoke moments, Nicole is the one who keeps us all organized and captures those epic sled shred photo moments on the mountain. Not only is Nicole our resident powder princess, but she has worked as a Paramedic for 16 years, holds a diploma in Ski Resort Operations and Management, Avalanche Canada Operations Level 1, and is trained in emergency management, ground and air search & rescue. You will often hear her say that she "has been living the dream" as a ski patroller since 1999. Watch for this rough, tough, creme-puff helping us out there on the trails this season. Martina has over 14 seasons of experience working in the avalanche industry as a ski patroller, ski guide, and avalanche technician. 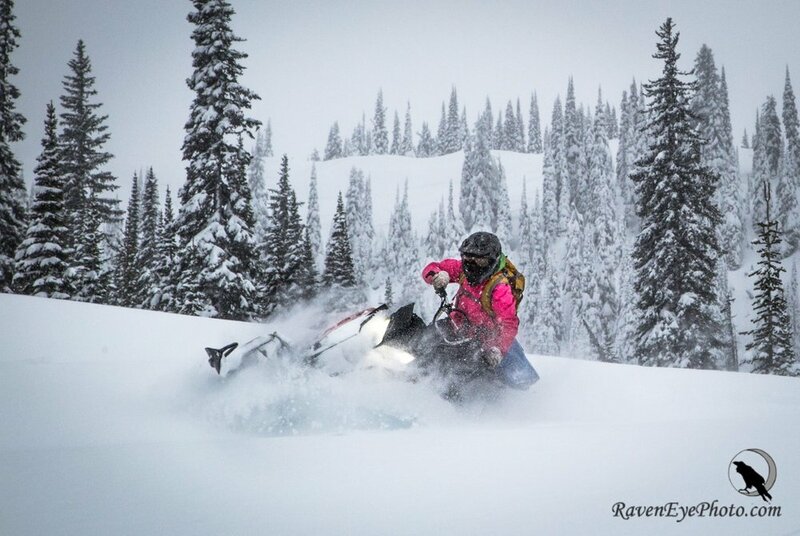 Her goal every winter is to spend as much time as possible playing in the mountains both on skis and sled in the British Columbia / Alberta backcountry. Born and raised in Mont Tremblant, 'Frenchie' moved to Fernie in 2007 to squeeze in more ski, bike, sled, and moto time. You can chat with Matt about his love of all things KTM, Heineken, and his lovely family. Matt has been with EVSS for three years, guiding with most of our french speaking groups as well as helping instruct our AST1 programs to share his search and rescue knowledge. Not only is Matt a rock solid sledder, this Journeyman Heavy Duty Mechanic can also throw down on skis and a snowboard out there. 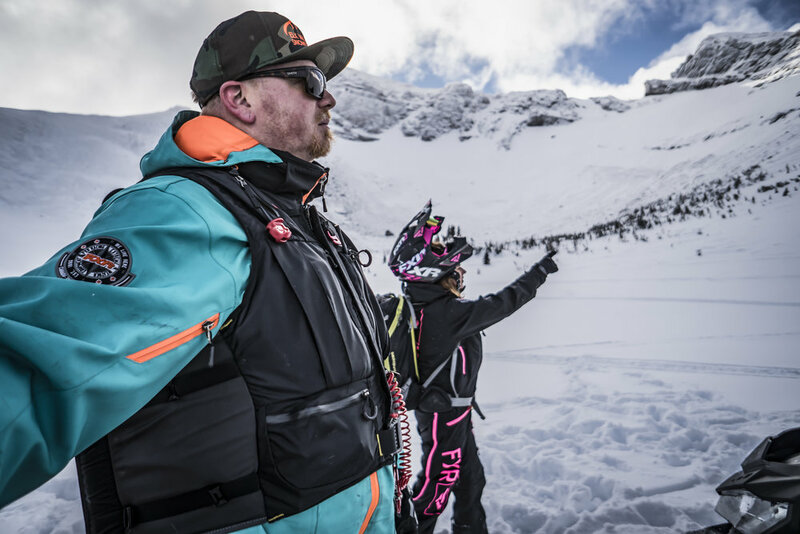 When he's not guiding for EVSS, pulling wrenches on our sleds or operating snowcats in his spare time, you will find Matt heli-ski guiding in Iceland. He may be the newest member to the EVSS Team but has been rocking the 'stache since before it was cool. With eleven years of riding experience, Travis excels at steep, technical tree lines but is also known for 'sending it' off almost anything he can find out there. Travis brings a wealth of big mountain experience and looks forward to helping people improve their riding skills. Sully and Laddie also make occasional guest appearances to see our sled groups off in the morning or to welcome them back at the end of a long day. 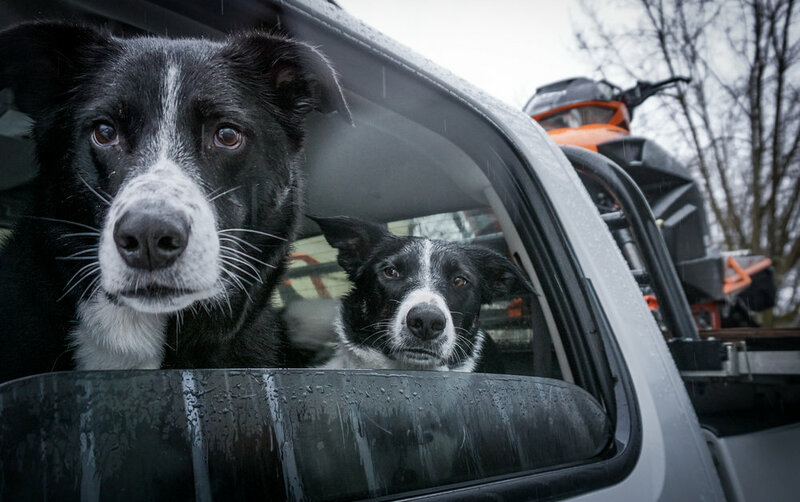 These border collies are always looking for mischief to manage and love nothing more than to run beside anything with an engine or to receive a good scratch behind the ear! 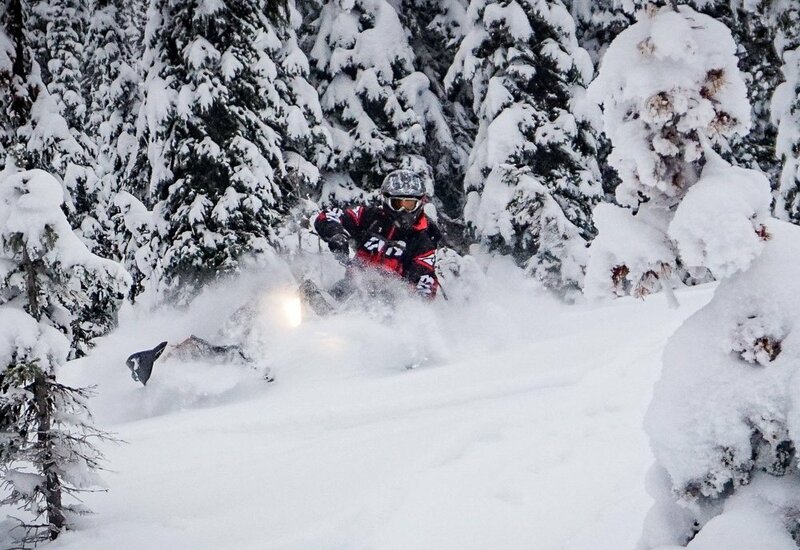 Looking for a snowmobile guide to help with film or photo requirements? We can assist with a variety of locations and requirements. Please contact our office. Stock images are available for promotional and press use subject to prior review and approval from Elk Valley Snow Shepherds.